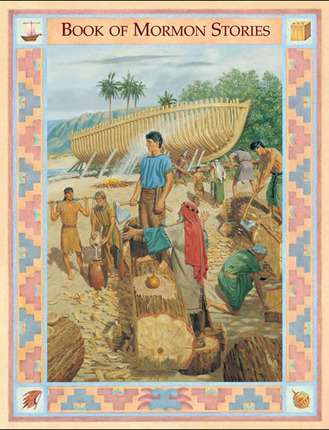 54 chapters of stories from the Book of Mormon. Contains 170 pages with maps, glossaries, and a time line of events. Colorfully illustrated, basic reading level. Originally I bought the English and Russian version together to teach me Russian on my mission. Now that we have children we read from this almost every night and our kids, 7,5 & 2 love to listen to the stories or ream them themselves! This has been a great teaching tool and is getting out kiddos into good habits to read daily. My kids, ages 9 and 7, were really struggling with nightly scripture study. As much as I tried to relate the stories to them, they would loose interest fairly quickly and the majority of time would be spent trying to keep their attention. 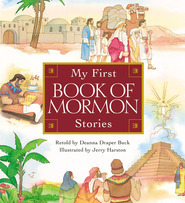 Early this year, my wife and I decided to switch to Book of Mormon Stories. The pictures, simplified language, and short chapters hold their attention and the books do a great job of handling complex scenes in a child-friendly manner without being overly-simplified. We started Old Testament Stories a couple of weeks ago. 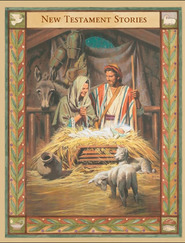 My kids love reading the Friend magazine and now they love reading the scriptures too. While we still use the traditional scriptures for FHE lessons, these books have been invaluable for nightly family scripture study! 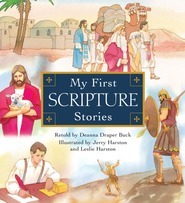 My kiddos ages 4-7 can learn the basics of the scripture stories with this book. 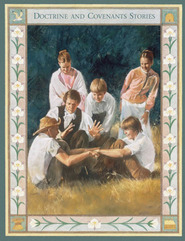 So that when they get old enough to read the actual scriptures they have an idea of what the story is teaching. My kids love reading along each night with these books. They have learned valuable lessons from them as well! 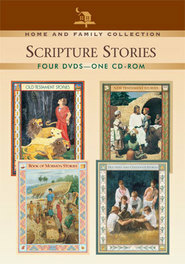 I just recently bought this book so that my kids can understand scripture study better. They are only 2 and 3 and already they are understanding the basic stories and ideas. It's always nice to have pictures to go along with the stories. Wonderful ! Great ! Super ! My nine year old received this book two weeks ago and is almost finished it. There are two things he loves right now, his Gameboy and his Book of Mormon Reader. I am thrilled that Scriptures are in his hands !!! I have seen a difference in his attitude, he's more respectful and I have seen him pray more often.